Julia and Troy Bussmeir took off on a year-long road trip not too long after they married. 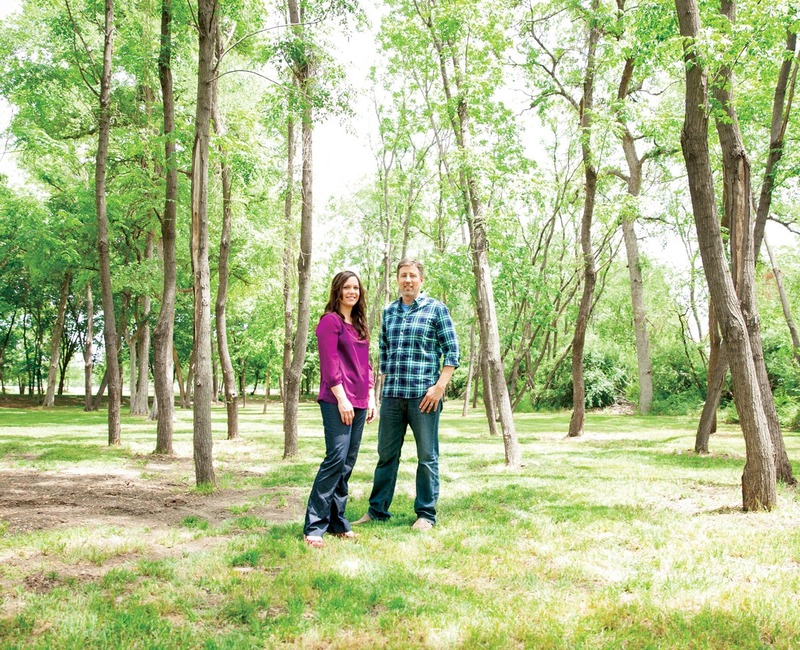 Over the course of their 20 years together, they’ve lived in 17 different cities. They shared a passion for discovering the heart of each new city and for connecting with new people. But as they put down roots in Texas, they found that the most challenging adventure yet was maintaining a connection with each other. “My parents are farmers and immigrants from Finland, and had a difficult time transitioning to their new culture in America and Washington State. My four siblings and I were taught that if you give a compliment to someone, it might go to their head. So there wasn’t much affirmation in our home. I became quite suspicious and mistrusting of men. Fortunately, I had a good friend who invited me to go to church, which influenced me in a positive way. “My husband Troy and I started dating when I was 19, and we married when I was 21. With little preparation for marriage, we didn’t know what we were getting into. I continued to struggle with trust and with finding my identity in what others thought of me, rather than in the truth of God’s Word. I grew when we found a healthy church community in Austin. But things went backward after we moved to Ft. Worth. “I grew up in Seattle. My father had bipolar disorder, so our home was unsettled. There was love and good times, but the bad times were really scary. “I trusted Christ when I was six or seven. I was active in church and took an interest in going and serving on discipleship trips in Mexico. I liked the stable, safe feeling that I had away from home. “The legacy of those early years was that I resisted showing my real emotions. I thought that if people really knew what had gone on at home, they’d judge me. After getting married, I didn’t want to share my thoughts and feelings with my wife because I worried she’d think I was weak. “I’d always searched for a mentor and father figure, and I found that through discipleship at church. When we found a healthy church environment in Austin, I was challenged to confront the sin in my life and encouraged to deepen my relationship with Christ. The post STAYING CONNECTED appeared first on Watermark Community Church Blog.